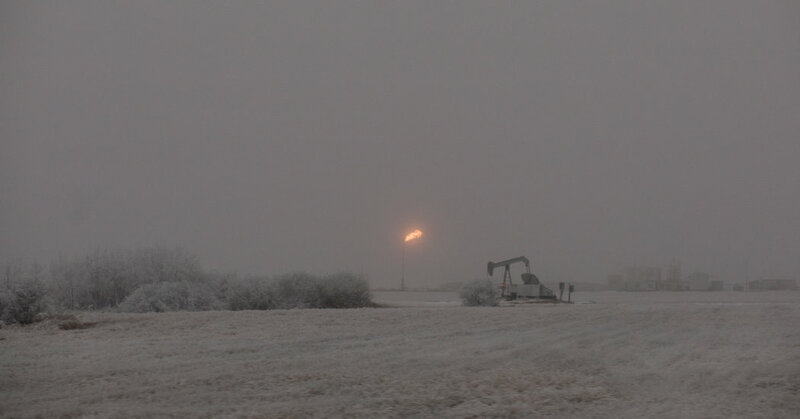 ESTEVAN, Saskatchewan — Crews are hard at work these days on the oil rigs that rise above the horizon in southeastern Saskatchewan. At least for now. Dylan Gilliss, the owner of a company that provides workers and equipment for drilling, sees plans by Prime Minister Justin Trudeau of Canada to impose carbon taxes on the province as a threat to his business — and to those jobs — as well as a cash grab for the government. “It’s going to come on the backs of the men, that’s who’s going to take the brunt of it,” Mr. Gilliss said while driving his white pickup truck along a gravel road lined with pump jacks. When Mr. Trudeau came to office three years ago, combating climate change was near the top of his agenda and putting a price on carbon pollution was his government’s weapon of choice. But Mr. Trudeau’s climate program has increasingly been targeted by critics at both ends of the political spectrum, and conservative governments in several provinces have refused to participate, forcing federal intervention. His efforts are likely to become a defining issue when Canadians vote on his government’s re-election next fall. While environmentalists give credit to Mr. Trudeau, they are also swift to note that Canada, like many other countries, will have to report at a meeting of the world’s environment ministers in Poland this month that it is not on target to meet its emissions-reduction commitments under the Paris Agreement. Mainstream conservative politicians in Canada do not deny that climate change is a significant problem, or even a crisis. But they have pushed back hard against carbon pricing with, among other things, legal challenges to the federal government’s right to impose a carbon plan in their provinces. Unlike many economists, they argue that carbon pricing will not reduce emissions, and instead will pinch household budgets and enrich governments. Four provinces now led by conservative governments have dented the national consensus Mr. Trudeau had once formed on carbon pricing. Andrew Scheer, the federal Conservative leader, rarely misses a chance to condemn carbon pricing as an unfair tax burden and job killer. When General Motors announced the closing of two assembly lines in Oshawa, Ontario, last month, Mr. Scheer quickly blamed carbon taxes even though the company said public policies played no role. “It is an uphill battle politically to adopt a new and high-profile tax,” said Kathryn Harrison, a professor of political science at the University of British Columbia who studies environmental policies and believes carbon taxes are effective. Mr. Trudeau’s government is taking several approaches to cutting carbon emissions. One is to match the stricter fuel efficiency requirements introduced in the United States by the Obama administration, which are now threatened by President Trump. Canada also joined the Obama administration in efforts to limit leaks of methane, a particularly potent greenhouse gas, from oil wells, refineries and pipelines. But from the beginning, the key to Mr. Trudeau’s program was the introduction of either carbon taxes or cap-and-trade systems, like the one in California, in all of Canada’s provinces. Catherine McKenna, Mr. Trudeau’s environment minister, who has had climate change added to her title for symbolic emphasis, said in an interview that the priority will not change despite conservative opposition. Rather than impose a federal tax, Mr. Trudeau initially let each of the 10 provinces set up their own systems. They were free to impose a straight tax or allow the trading of carbon credits — but they had create a cost for carbon emissions. What they did with the revenue would be their business. Either system had to start with an initial price of 20 Canadian dollars a metric ton of carbon, and then raise that number by 10 dollars a year until 2022. In British Columbia, Canada had both an example and a head start. Part of its political success came from using the revenue to provide tax credits for individuals, and incentives for new technologies and programs to curb emissions. Following British Columbia’s lead, Quebec set up a cap-and-trade system three years before Mr. Trudeau took office that integrated its carbon market with the one in California. In 2016, nearly all the other provinces agreed to Mr. Trudeau’s program. So it looked as if Mr. Trudeau had achieved success. The main outlier then was Saskatchewan, which has about 3 percent of Canada’s population but accounts for about 10 percent of its carbon emissions. Provincial officials had vehemently refused to be a part of Mr. Trudeau’s plan. Manitoba also had reservations. In recent months, they have gained plenty of company. One of the first acts of Ontario’s new Progressive Conservative government was to kill its carbon tax. A conservative government in New Brunswick also pulled out, as did Manitoba ultimately. Suddenly, it seemed, governments representing only about half the country’s population were going along with Mr. Trudeau’s plan. Scott Moe, the premier of Saskatchewan, has become, along with Premier Doug Ford of Ontario, one of Canada’s leading carbon tax critics. “This is not in any way, shape or form an effective environmental policy — it is only a policy that costs families money unnecessarily,” Mr. Moe said in his office in the provincial legislature. “When the federal government feels they know best and they impose what I feel are flawed policies on all of the people of the nation is where we run into challenges,” he added. Mr. Moe is quick to argue that his opposition to carbon taxes doesn’t mean his province is not taking action. It’s just that it found a way to do it without pricing pollution, Mr. Moe said, by proposing, for example, limits on the largest industrial polluters. Mr. Ford has introduced his own carbon tax-free approach. But Ms. McKenna said neither province’s proposal was adequate because they did not impose a cost on carbon. So for the four renegade provinces, her government will introduce a federal carbon tax in April. And in an effort to get around the criticism that the tax will unfairly burden individuals through price hikes, the government will rebate the money it collects, much of it from industry rather than individuals, to taxpayers. About 80 percent of Saskatchewan families, Ms. McKenna said, will receive more in refunds than they pay in carbon taxes. Still, Ms. McKenna acknowledged, Canada was not on track to meet its overall emission reduction goals. In Estevan, where the roads can be as relentlessly straight as the landscape is flat, many people dislike the carbon tax. The area is home to one of the few remaining coal-fired electrical power plants in Canada, as well as the mines that feed them. The province’s sparse population means that driving children two hours to a hockey games is routine. Mr. Gilliss, whose company Gilliss Casing Services was founded by his father, fears that a carbon tax will prompt his customers to drive just 16 miles down the highway in front of his tidy workshop to the United States.